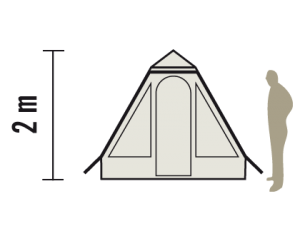 Light and easy to pitch pyramid tent. 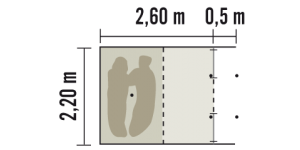 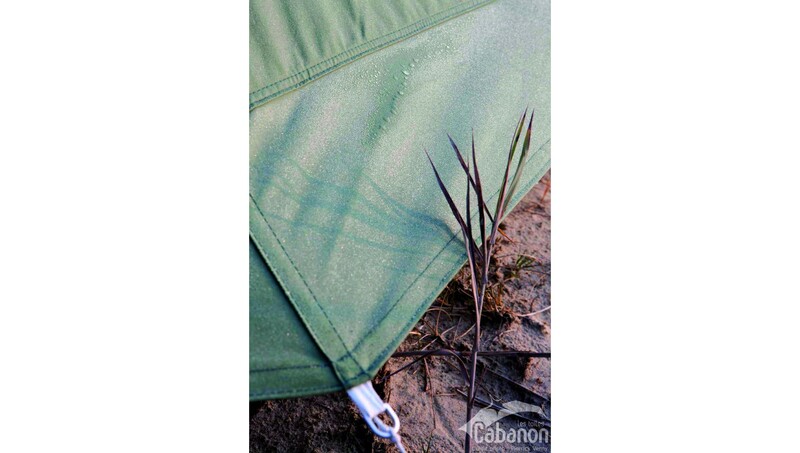 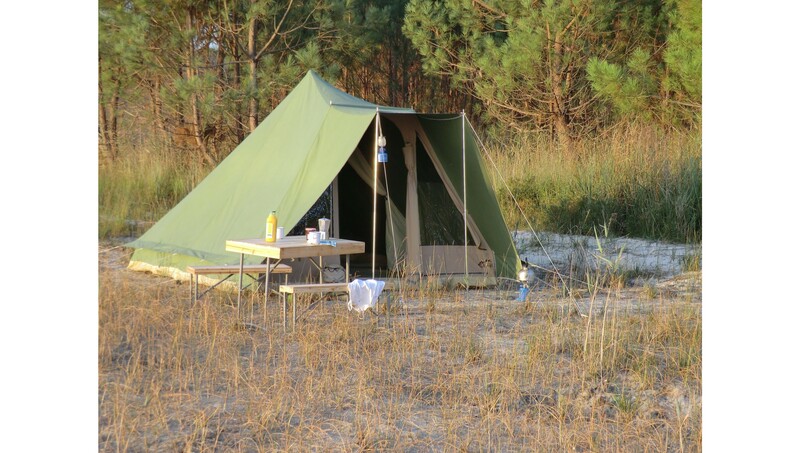 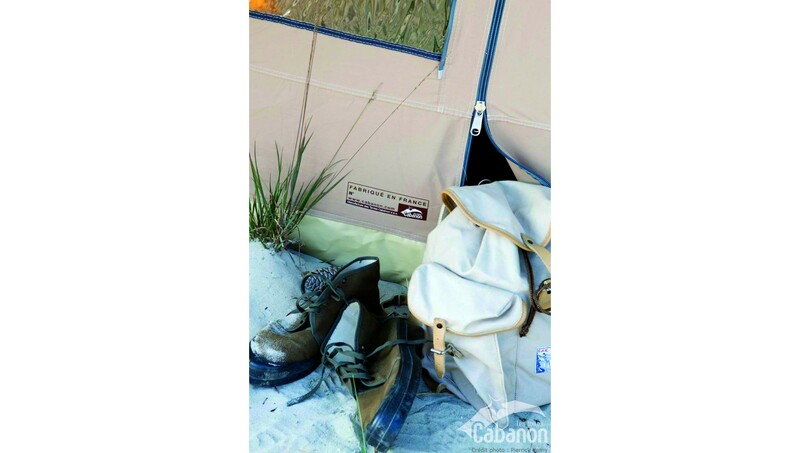 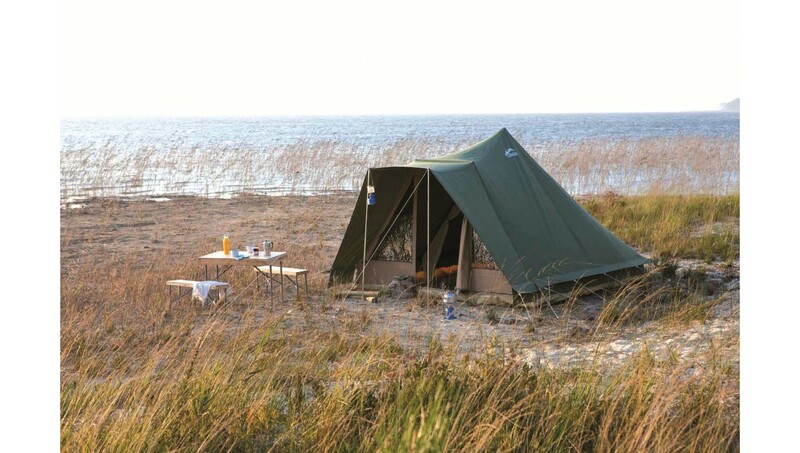 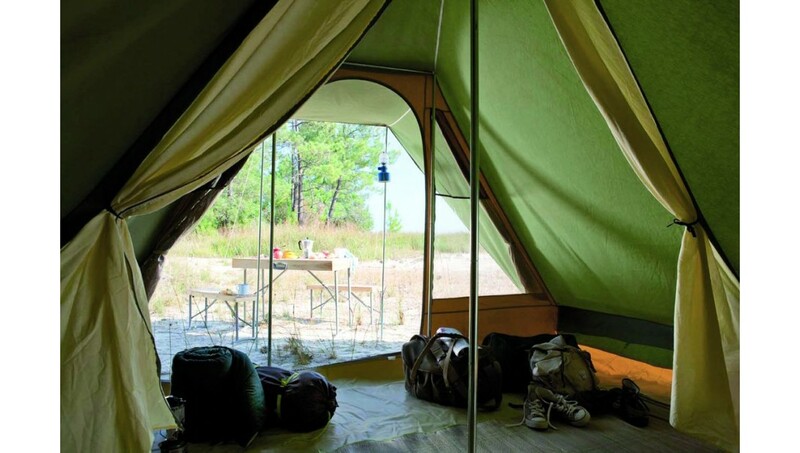 With its single canvas and central mast, this tent is very lightweight and quick to pitch. 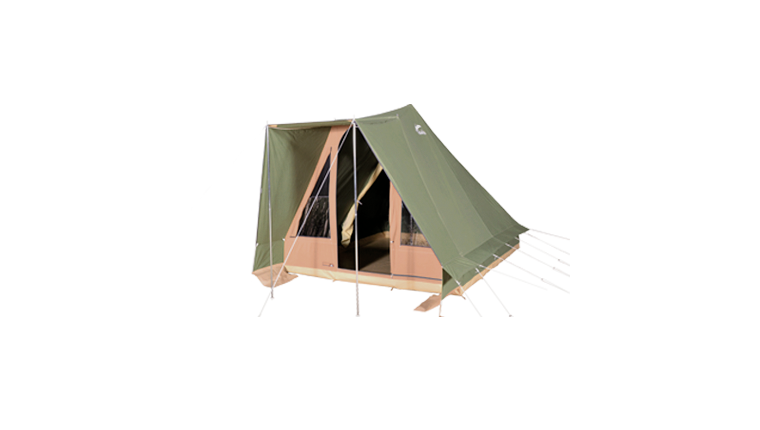 A big roll-up central opening and 2 wide side windows with mosquito screens and flaps for airing the tent completely .